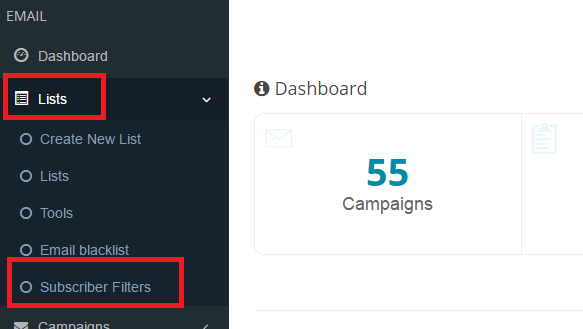 Create new list based on advanced Subscriber filters? 4. 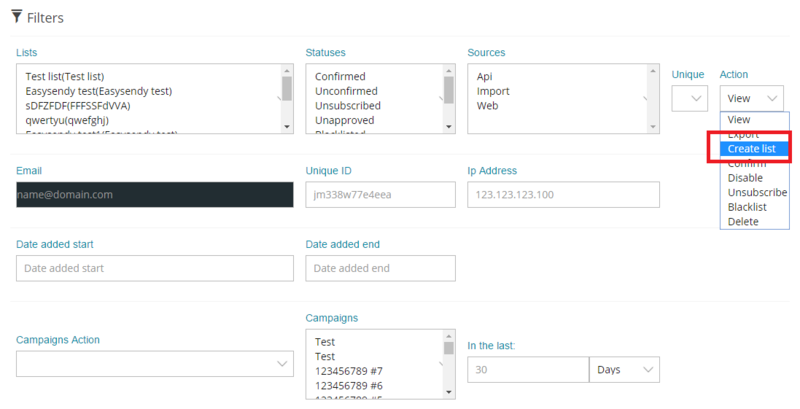 Now, Filter all your subscriber as per your requirement, for this you can choose the List Name, Status, Sources, Unique ID, IP Address, Campaigns Action, and Campaigns. 5. Now, select “Create List” from the drop-down menu inside “Action” option. 6. Click on “Submit” tab, after this you will receive an message for editing the campaign.